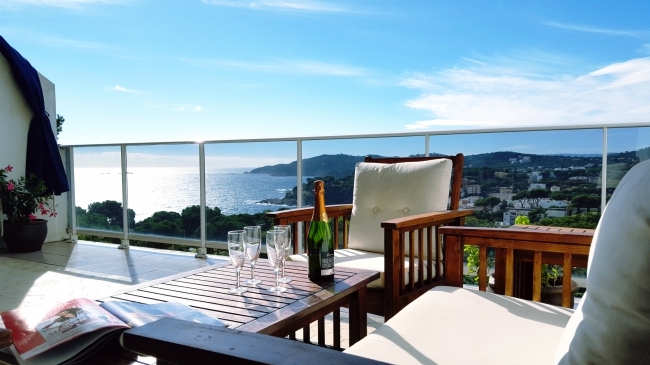 Apartment located in Llafranc, only 300m from the beach and from the centre. On the 2nd floor without a lift. 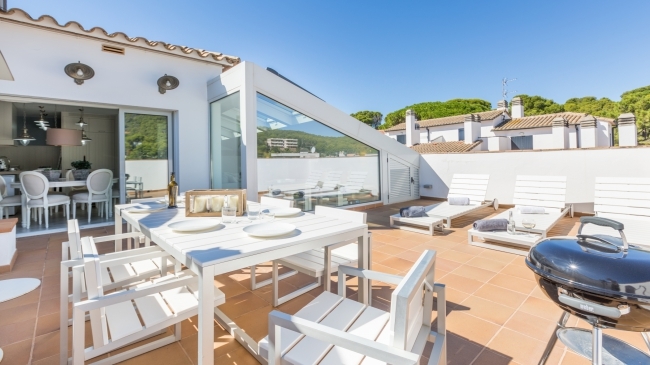 It has 4 double and 1 single (9 single beds), reformed kitchen (washing machine, dishwasher), 3 bathrooms (2 with shower, one with bath), and a terrace with wonderful sea views. Parking. 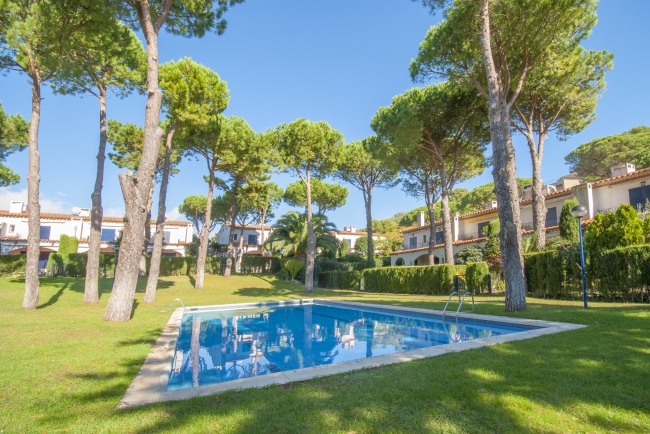 Villa Ferreira is a nice house (100m2 (250m2 of plot)), placed in a calm residential area of Lloret de Mar (Lloret Blau), 7Km from the beach and from the centre. The house consists of a large lounge dining room (TV), a very equipped kitchen (vitroceramic cooktop, dishwasher, microwave, tv); 3 double rooms; 1 of them ensuite with a double bed (135x190cm) ( bathroom with shower), TV; 1 with two individual beds (90x190cm) and the other one with twin beds (90x190cm) (TV). Another bathroom with a shower . 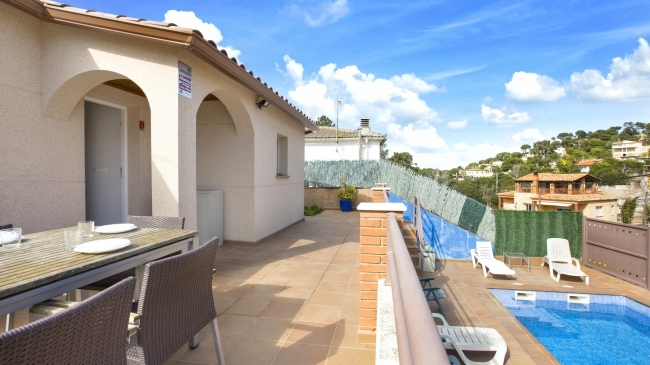 Nice exterior zone, with a barbecue, a swimming pool (6x3.5), a small room where one finds the oven, washing machine and tumble dryer. Heating in all the house and air conditioning in the zone of the dining room. Optional use with a cost extra of 50 €/ week. Parking. Pets are NOT allowed. 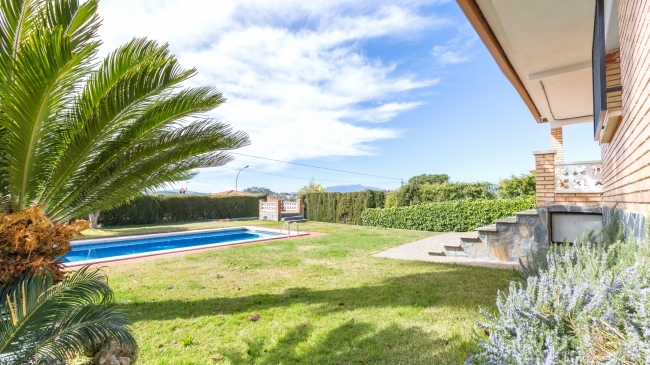 House situated in the quiet residential area of Terrafortuna on a plot of 500m2 and 85 m2. Capacity for 6 people, Villa Fortuna has two double rooms (4 singles) and a double bed, a bathroom (with a bath) and a kitchen. Equipped with microwave, oven, washing machine, fridge, freezer, TV, DVD, BBQ and fireplace. Swimming pool (8x4m) and private garden. Uncovered 2 car garage.